These homemade Oatmeal Chocolate Chip Cookies beat any cookies you’ll find in the supermarket aisles! Nothing beats a freshly baked, warm cookie straight from the oven. 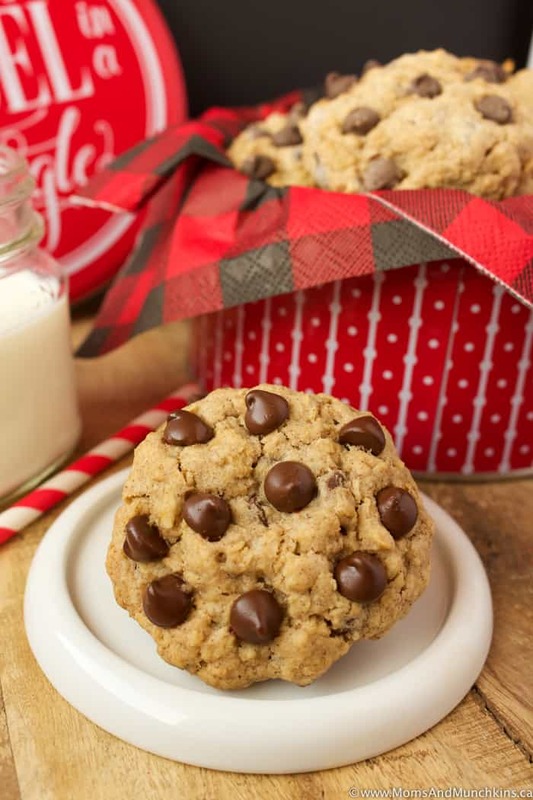 Loaded with extra chocolate chips, these are sure to become a new family favorite. 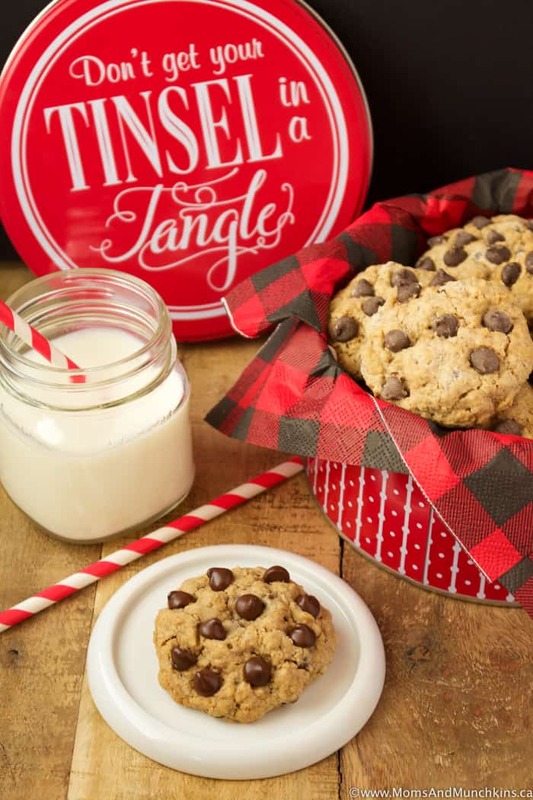 Are you doing baking to give away as gift this holiday season? 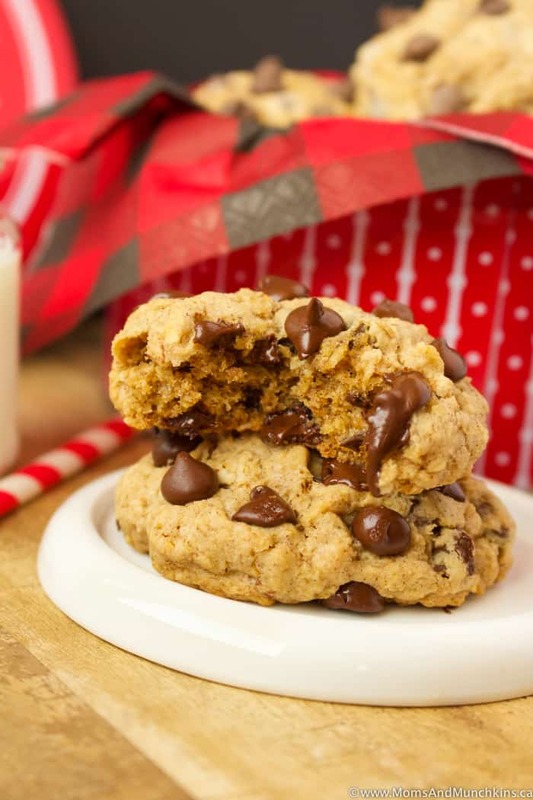 Oatmeal Chocolate Chip Cookies may not be a classic Christmas cookie but it’s a variety of cookie that both adults and kids love so this is a good recipe to consider for those homemade cookie tins this year. I know there are a lot of you out there that don’t believe raisins have any place in a cookie recipe – and don’t worry, these cookies don’t include raisins – but raisins are one of my absolute favorite treats! If you love raisins and want to mix this recipe up a bit, you could swap the chocolate chips for raisins, dried cranberries or candy coated chocolates (like M&Ms). You can swap the chocolate chips in this recipe with raisins, dried cranberries or candy coated chocolates (like M&Ms). In a large bowl, beat together egg, butter, brown sugar, granulated sugar and vanilla. Beat on medium speed until well mixed. Add in oats, flour, cinnamon and baking soda. Beat just until combined. Stir in 1.5 cups of chocolate chips. Set the remaining ½ cup of chocolate chips aside for now. Cover bowl in plastic wrap and allow dough to chill in fridge for 2 hours. Spray a cookie sheet with non-stick cooking spray or use a silicone baking mat. Scoop cookie dough into 2-tablespoon size cookies. Place cookies two inches apart on cookie sheet. Using the remaining ½ cup of chocolate chips, press extra chocolate chips into the top of each unbaked cookie. Bake cookies for approximately 12 minutes. Remove from oven and let cool on cookie sheet for 10 minutes before removing to wire rack to cool completely. 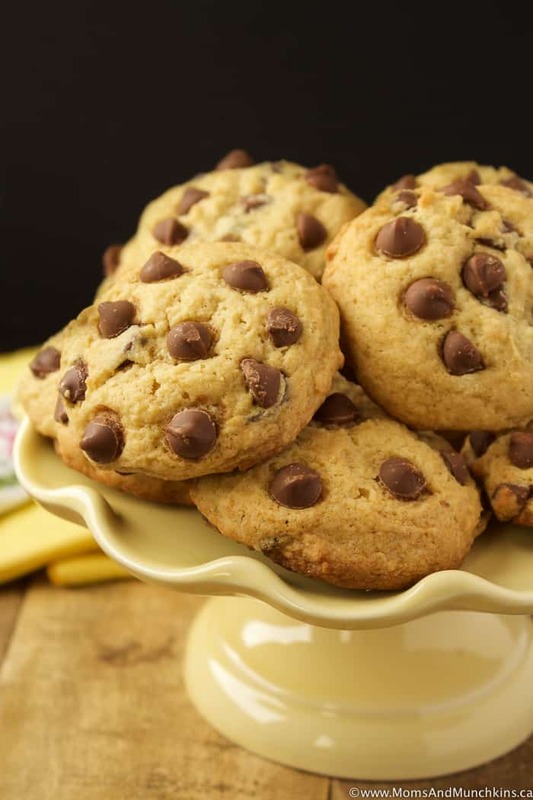 Banana Chocolate Chip Cookies – a delicious combination! 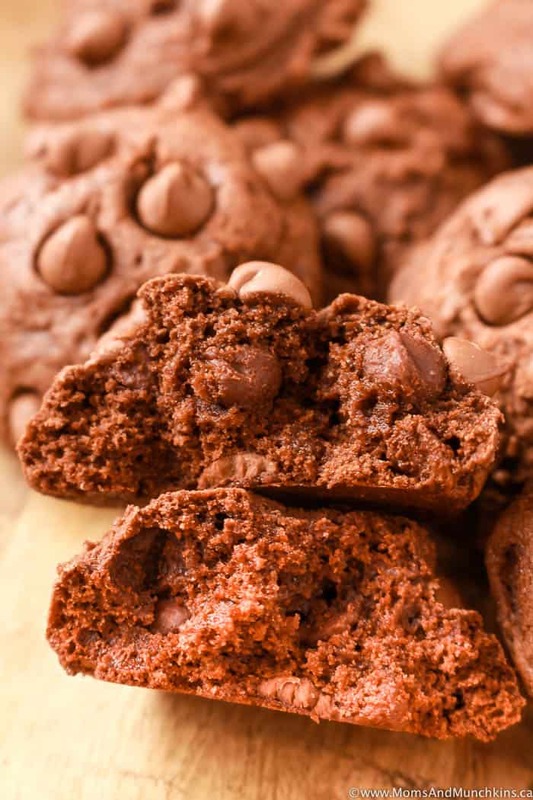 Brownie Cookies – why choose between brownies or cookies when you can have both in one! Visit our Recipes page for more tasty ideas! Stay updated on the latest recipes and home entertaining by following us on Facebook, Twitter, Pinterest, and Instagram.